Home Designer is the top-rated 3D interior design and home design software. The software uses technology from Chief Architect's professional architectural software and is made easy for DIY. 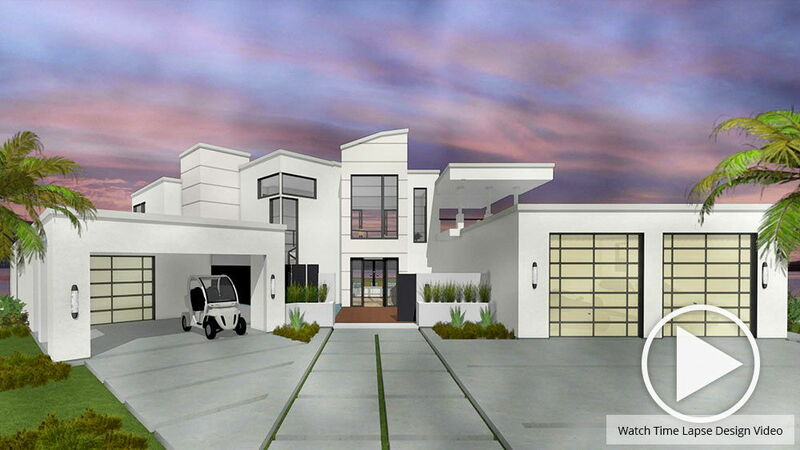 Discover why Home Designer is the best home design software to visualize and design your next house project. Home Designer by Chief Architect Software is the best house design software tool for DIY home design, interior design, remodeling and outdoor living projects. 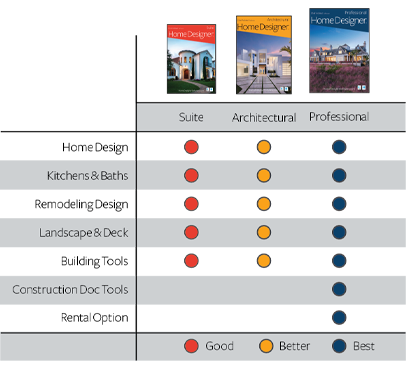 Home Designer products leverage the professional technology from Chief Architect® — the architectural software of choice for residential design professionals. See our Samples Gallery to view example projects. Chief Architect Software is the leader in the architectural home design software market with its professional home design product line Chief Architect for builders, designers and architects. The Home Designer product line offers the most powerful, fun and easy to use DIY software for home design and interior design projects. All Home Designer products are fully compatible with the Chief Architect Professional product line. Chief Architect is the leader in architectural design software with its professional home design product line for builders, remodelers and architects. The DIY Home Designer products offer powerful, fun and easy software for your home design and interior design projects. You can purchase, rent or download a trial of any of the Home Designer products. Home Designer runs on a Mac or PC and is compatible across platforms. The software license allows you to run on a single computer with the ability to activate and deactivate the license for easy portability between multiple computers. With your purchase, you choose whether to receive the software as a download or a USB drive. To receive both, select the download option and add the USB for backup media.